All cabinetry and components are quality controlled and constructed from solid materials to ensure the longevity so we can ensure a 10 Year Guarantee. Cabinets (tall, base and wall) are constructed using 16mm double sided melamine faced particle board on all four sides of the cabinet. We use a re-enforced melamine faced MDF backing which helps keep the cabinet weight down but leaves a clean white finish on all interior surfaces. 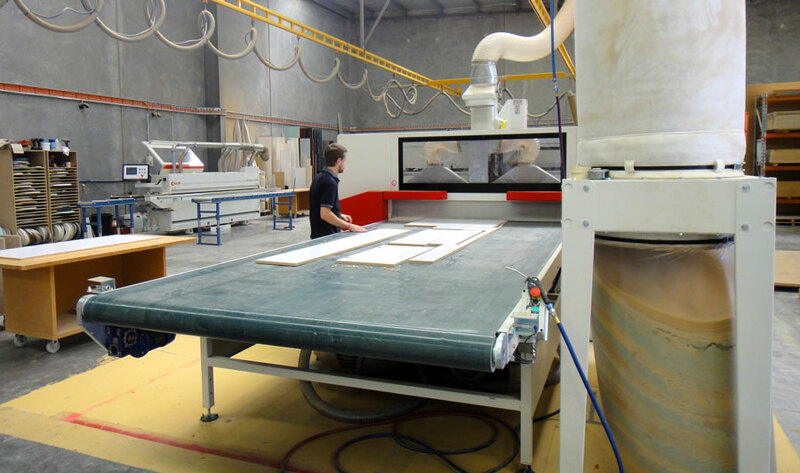 All materials used to manufacture are Australian made from plantation sourced timber products and meet AS/NZ standards for manufacture of particle board and MDF. All timber products are moisture resistant with the lowest of formaldehyde emissions or E0 standard. 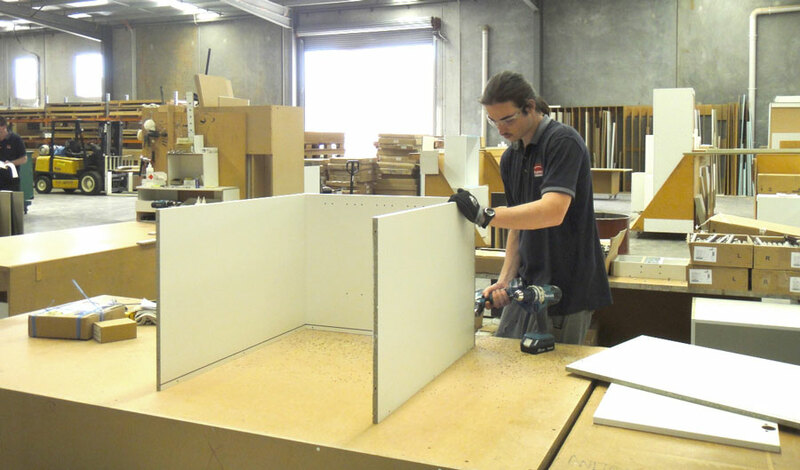 All cabinets are securely fastened with heavy duty cabinet screws to ensure very strong construction. All tall and Standard Base Cabinets have a 16mm void to make installation easier when there are variations in plaster walls. End panels are also available to match your chosen kitchen style, the finishes and panel edges are predominantly ABS edged in matching colours. The Cabinets are all pre-drilled for hinges and the handles will need to be drilled by yourself or an installer. This provides the ease of positioning exactly where you want on site. All other components are supplied in full lengths for yourself or the installer to cut on site as required, this includes the kickers supplied oversized to be cut on site due to uneven walls or floors in homes. We provide access to a huge range of stone and laminate bench tops to suit all tastes and budgets. 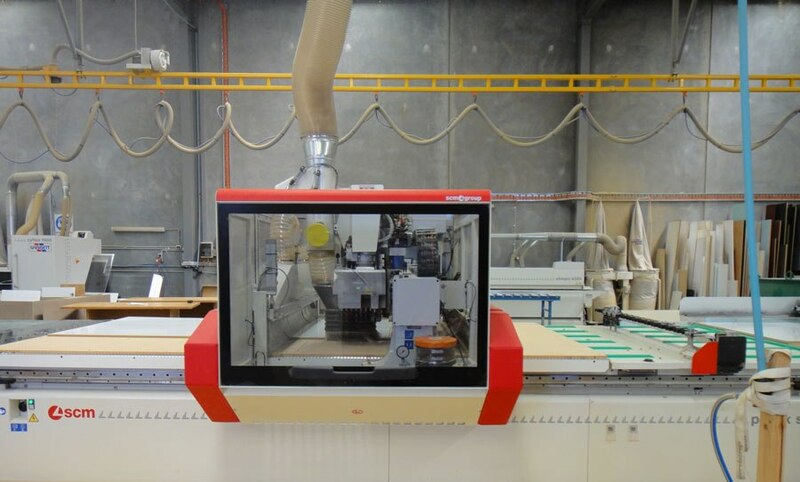 All our laminate tops are high quality European Duropal and Egger branded, sourced from specialist benchtop manufacturers right here in Melbourne. YDL branded stone is available through an excellent partnered stone mason. All the cabinets are delivered fully assembled and can be easily installed by yourself or a professional installer for a quicker kitchen renovation. 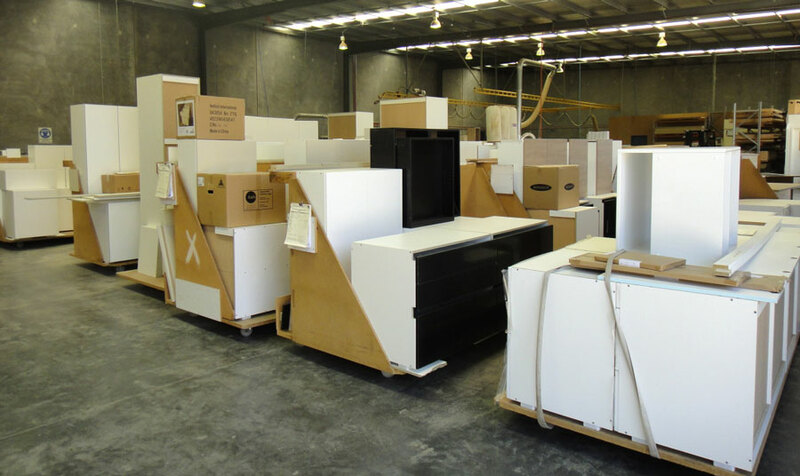 The manufacturing has invested in the latest machinery from Italy and best practices of lean manufacturing to not only ensure high quality, affordable kitchens but we can also deliver to you in the best possible lead times.